Free video lessons to help Grade 5 students learn how to multiply decimals. 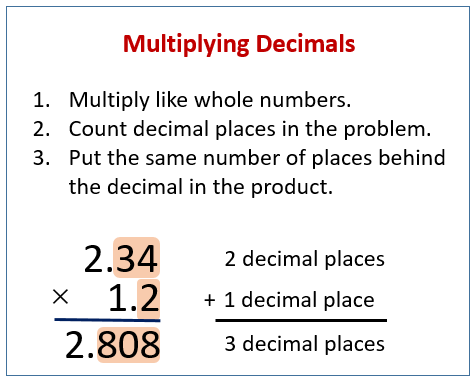 The following figure shows how to multiply decimals, Scroll down the page for more examples and solutions. How to multiply decimal numbers?